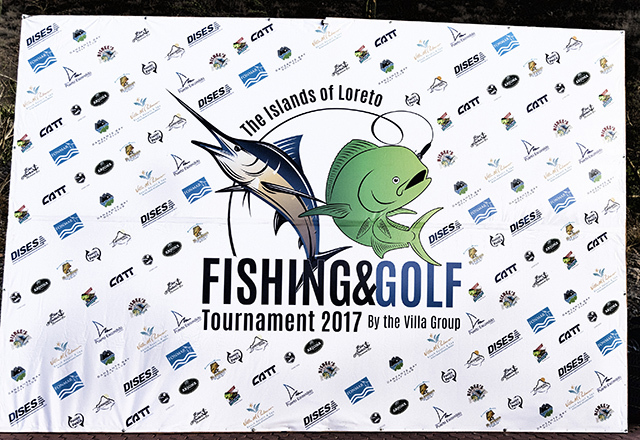 The second annual “Sport Fishing and Golf Tournament 2017” hosted by Villa del Palmar at the Islands of Loreto in the dazzling Danzanta Bay was held this week July 27 – 29. 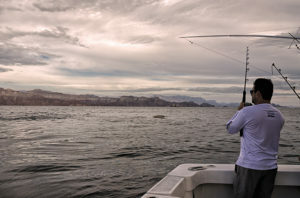 Twelve teams participated in the fishing event competing for cash awards and raffle prizes, and a round of golf was offered at the Rees Jones-designed Danzante Bay Golf Course. This event combined two of the world’s most popular outdoor activities, fishing and golf. On the dawn of the first day of the two-day affair, the playing field had changed, evident by the clouds and breezy conditions which were left behind by the recent Conga line consisting of three tropical storms parading out to the west. 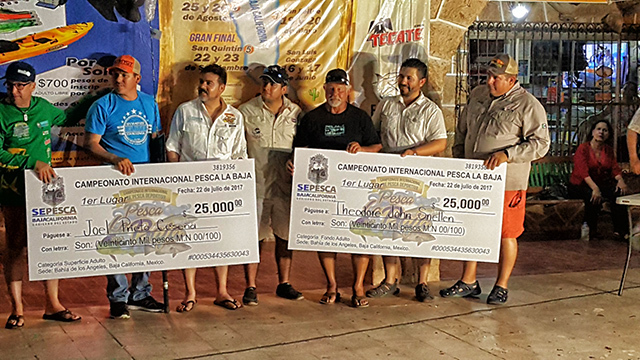 Members of the 12 teams chattered in both Spanish and English as they boarded their boats for the 7:00 a.m. start, and all of their pre-fishing research seemed to fly away in the breeze. Departing from both the Loreto Marina and Puerto Escondido, the courses they took were varied as they regrouped and chose their direction by committee. Unsettled conditions greeted them in every direction as they searched for a winner. 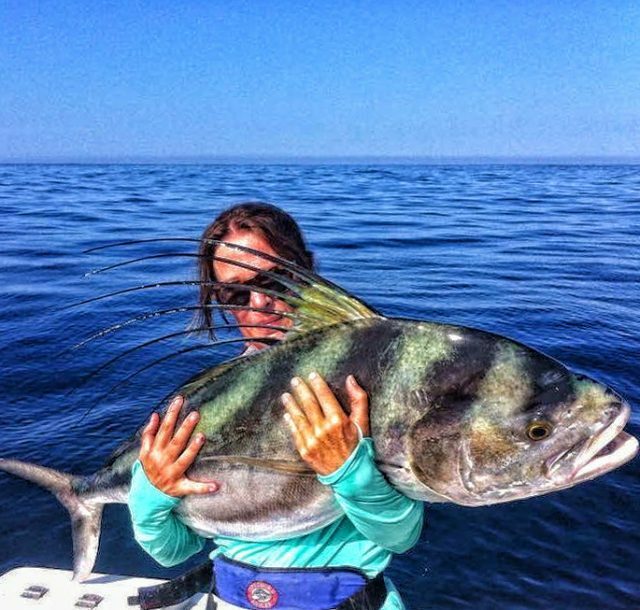 It was difficult to find the even largest of pads of Sargasso and when they did, it was equally tough to entice the small, or in some cases larger, qualifying 12-pounders to bite. By the end of the second day, a few teams succeeded in bringing a qualifying fish to the scales. 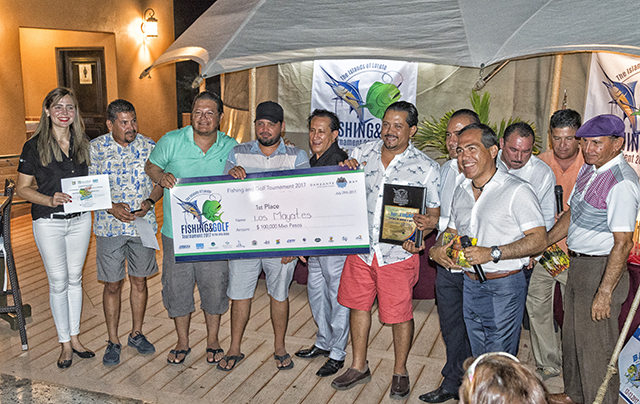 Team Los Mayates from Loreto won First Place in the second annual Danzante Bay Fishing and Golf Tournament event with a dorado weighing over 25-pounds taking home a prize of $100,000MXN and Maros Team won with a 279-pound marlin (also earning them an entry into a Bisbee’s Tournament this year valued at over $6000. U.S.). A complete rundown of this popular event will be posted soon. 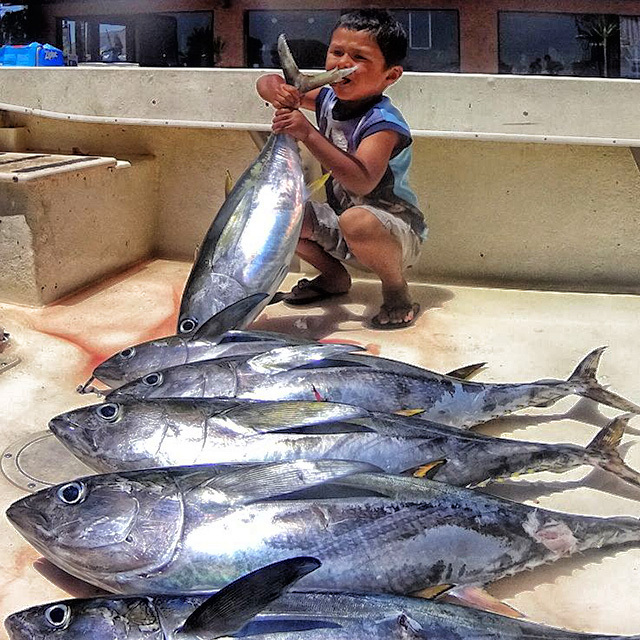 The Islands are loaded with yellowtail and bonito. 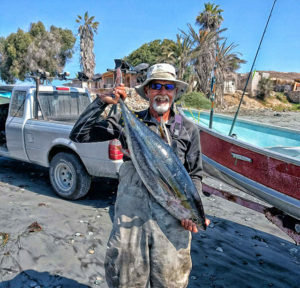 The best grade of fish is found at North Island with some in the 10- to 15-pound range and a few up around 20-pounds showing at Pukey Point and the Key Hole. The Middle Grounds has a bunch of mixed-grade yellowtail and bonito, as does the lee side of South Island and the Ribbon Kelp. The Lighthouse and the South Kelp are worth looking at. At last word the hot bite at the Rockpile dried up and this has most of the boats back up at the Islands. This area remains the upper limit of the good kelp paddy action for yellowtail and dorado below the border. This zone is really slow for tuna … most are just not seeing any signs of them. Fantastic kelp-paddy fishing in this area! 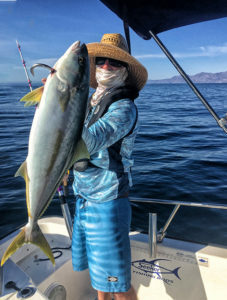 Anglers are scoring easy limits of yellowtail with pretty good numbers of dorado around as well. The majority of the yellowtail remain in the 3- to 5-pound class but there are a fair amount in the 12- to 18-pound range and a few kelp have some larger 20- to 30-pounders on them. 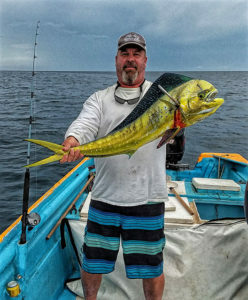 The dorado are mostly 8- to 15-pounders with a few bigger or smaller. Unlike kelp off upper Baja, these fish want to bite. No, scratch that — they want to commit suicide. Everything is working. Bait, jigs, plastics and maybe even banana peels would work. Action continues to be a crowd pleaser for the local charters and private boats, both on the surface, as well as on the bottom to complete limits, though most of the fish have been a smaller grade recently. 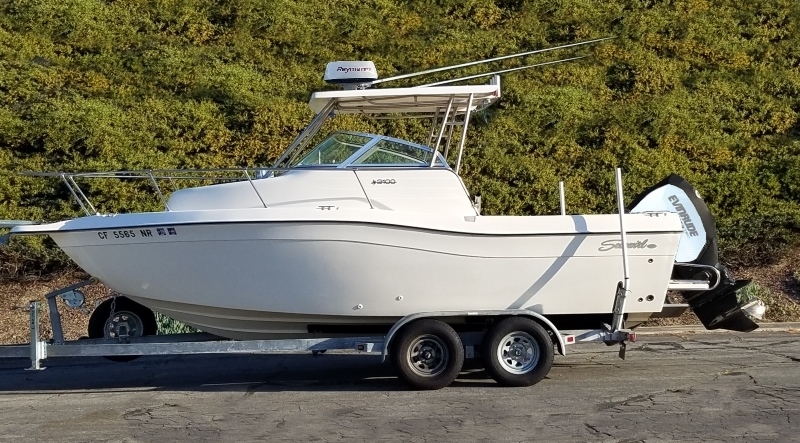 Trophy-sized yellowtail and calico bass have been the mainstay with some nice-sized halibut close to shore, as well as a few grouper, sheepshead and other bottom fish. However, when the new Pacific Islands Biosphere was announced earlier this year, the promise was that it would eliminate seiners from fishing near the Island. 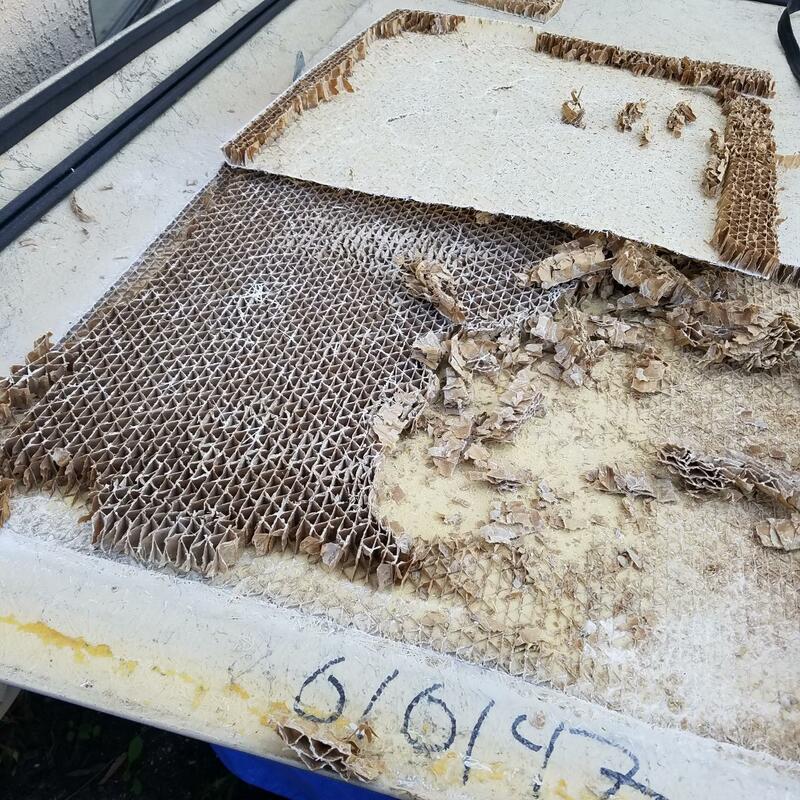 Recently four large ones showed up, much to the distress of locals living on the Island. but the Man of the Day was Joel, Jr., who captured First Place on surface fish with a 38.5-pound yellowtail. Our catch was grouper, 20 and 16 pounds. Not huge, but enough to win the tournament. He originally had customers for that day, but they were no-shows so he went out by himself. Rules are you need to have a 25 second video of the fish coming up. He managed to stick the camera in his mouth while fighting by himself and sticking and landing it. What a stud! Anyone thinking about participating in this event — should! The government does a great job. Even if you don’t win anything, there are still chances with the raffles. Next one is in Ensenada in August, and the Finale is in San Quintin the third week in September. It’s also a good way to meet some of the top government officials. I managed a bigger yellowfin tuna today under horrible conditions. I headed to the tuna grounds early. 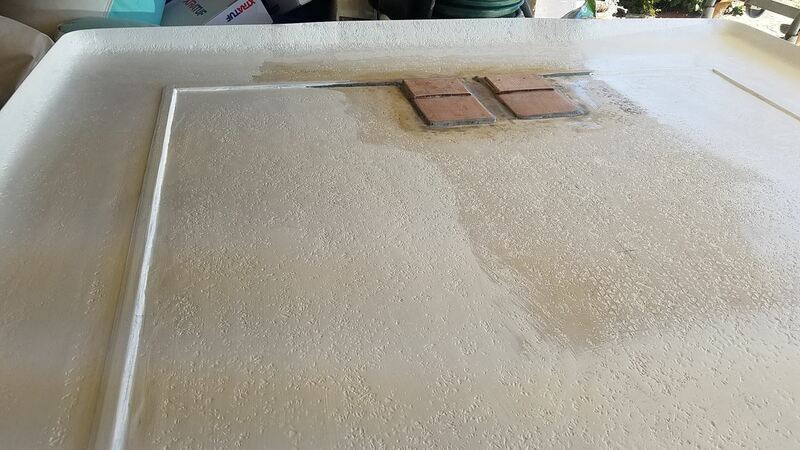 I was just sick of being on the beach so I launched the tin boat into some pretty good shore breaks. Thank goodness for long period swells. I headed west and the farther offshore I got the more ugly the conditions got. There were some pretty sizable swells from three different direction plus a pretty good wind chop. Lots of dorado but only one out of one-hundred stuck on a hook is worthy of a photo or putting on ice. Mike Carmen from Sunset Beach with the day’s #1 dorado keeper. The current lines have green debris but not many fish hanging around. The few Sargasso patches we locate have finicky feeders and when we do spot some action it is mostly dinks from 13 inches to 24 inches! No complaints for some of the boats are hooking a sailfish or a good-sized marlin. 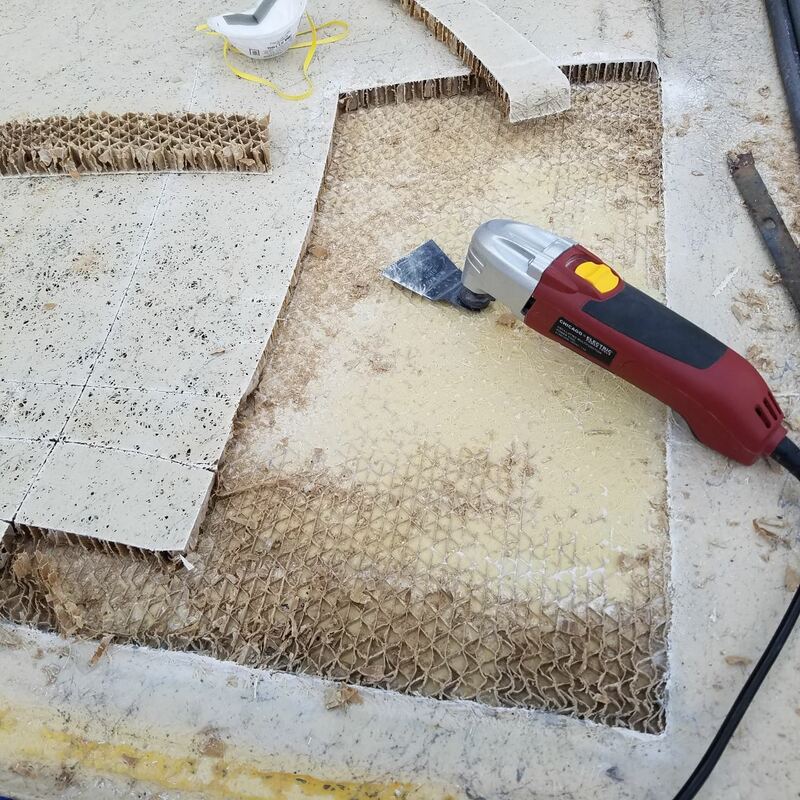 The school of grouper is still working the 40-foot depths around Coronado Island and continues to be straining as many bait as possible from the water … not a surprise. Saturday we got a surprise hookup at a sargasso paddy outside of the San Bruno high spot. Not one bite for our boat on some tasty mackerel but our boat and another got at least six yellowtail on the sardina. The East Cape can turn on a dime. Water temperatures are now averaging 80 to 84 degrees throughout the region. Clarity is less than usual closer to shore, due to currents and swells, but clean blue water is within a few miles of shore. Early in the week there were sardina found in limited quantities, as well as caballito and mullet. 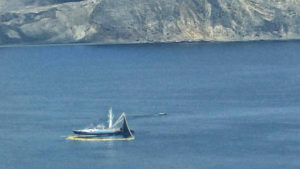 With increased waves it is has difficult to safely reach where the sardina were schooling, though there were some found inside of the marina channel area. Other bait options include using strips of squid. 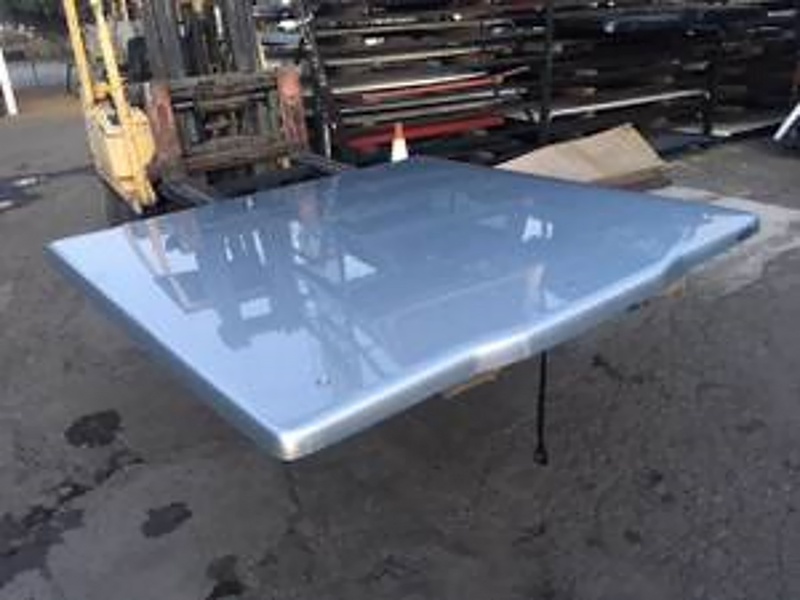 Most common areas now being targeted are from off of Chileno Bay and north towards Vinorama; for the most part during summer months the waters are calmer in the direction of the Sea of Cortez, rather than on the Pacific side. Blue and striped marlin were being hooked into while trolling lures offshore. 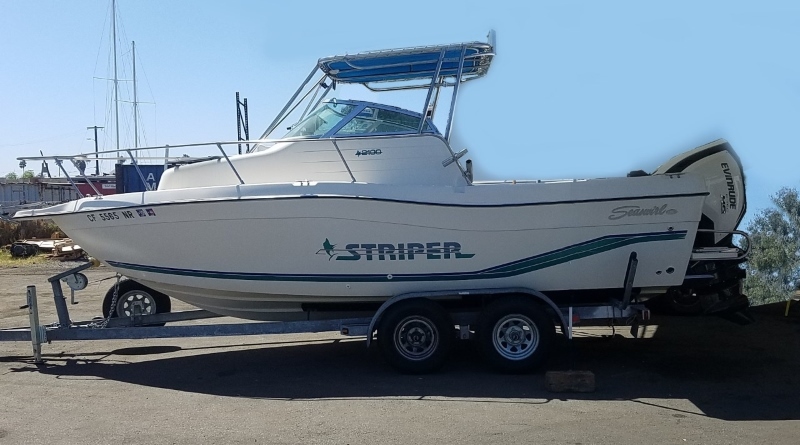 Most of the stripers were less than 100-pounds; blues averaged 150 to 200-pounds, with one blue marlin, estimated at 500-pounds, lost due to tangling lines of a commercial fishing boat … not a good way to lose a trophy fish like that. Dorado have still been slow and small in size, up to 15-pounds, but most days they are striking various trolled lures. Wahoo are a bit more active again, striking trolled lures in the La Fortuna to Vinorama area … a possible option for visiting anglers now. 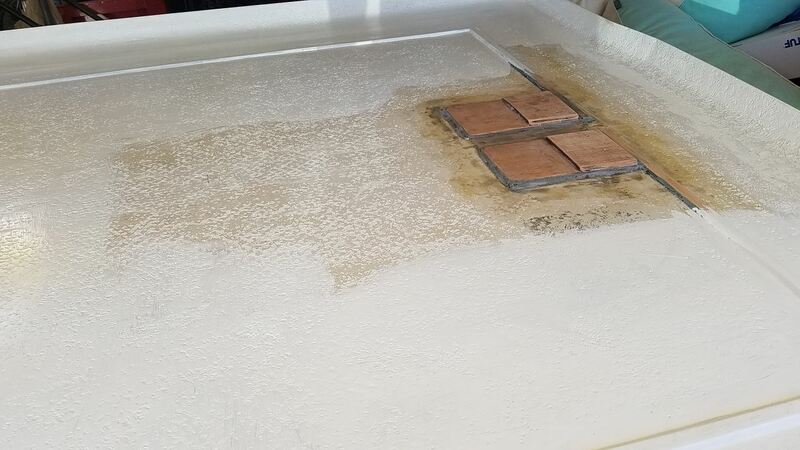 Bottom action has been slow with strong current and warmer waters being part of the issue; this often means certain species move to deeper and cooler zones. 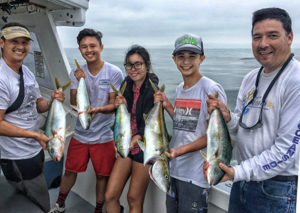 The yellowfin tuna are now being targeted by the fleet with the best bite being near Vinorama and on most days later in the morning was better than early. Perhaps the currents slacked near higher tide. These yellowfin tuna ranged from 5 to 80 pounds. Sardina were the best bait and caballito a close second; some were hooked on strips of squid. 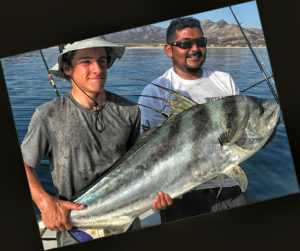 Trolling small to medium Rapalas and hoochies produced mainly the smaller grade of yellowfin, with the larger specimens taken on bait as the fish would come up and be actively feeding. 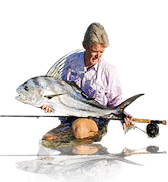 These yellowfin could be line shy and finicky, so often anglers needed to go down to 30-pound test line to entice a strike… some of the larger tuna can take close to two hours to land when using such light line. This week was nothing short of a billfish bonanza in Cabo. There was a huge variety of species released by the fleet, with a good number of them catching and releasing multiple billfish per trip. Most were striped marlin, followed by blue marlin and sailfish. 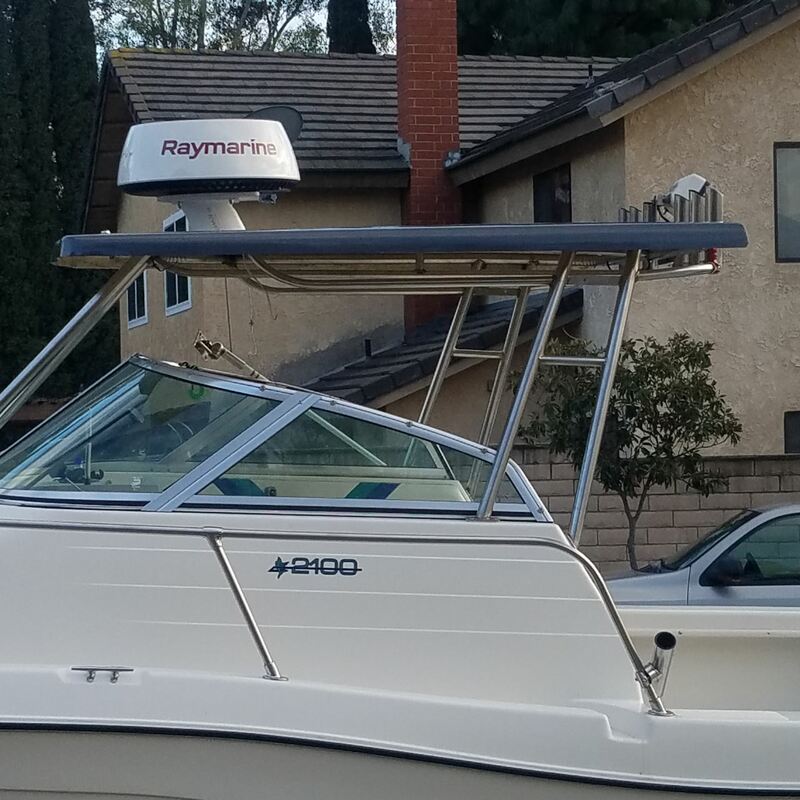 Pisces reported the largest spearfish so far this year, adding the in their nearly 40 year history Pisces boats have never seen this many spearfish in a single year, let alone in one month. 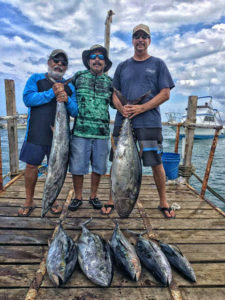 They also reported the return of some triple-digit yellowfin tuna, with two large fish landed this week along with good number of wahoo. Cabo Climate: Mixed days of sun and clouds with afternoon thunder showers. Daytime temps averaged 88 degrees and nights at 78.5 degrees. Humidity ratio at 67.5%. Sea Conditions: The Finger Bank south to the Jaime Bank was at 78-79 degrees. Cabo Falso to Los Frailes was at 81-84 degrees. Surface breezes blowing mostly from the westerly directions averaged 12.4 mph for the week. Best Fishing Area: The 1150 Fathom Spot, the 95 Fathom Spot, the Herradura, and Jaime Bank were all active billfish producers this past week.